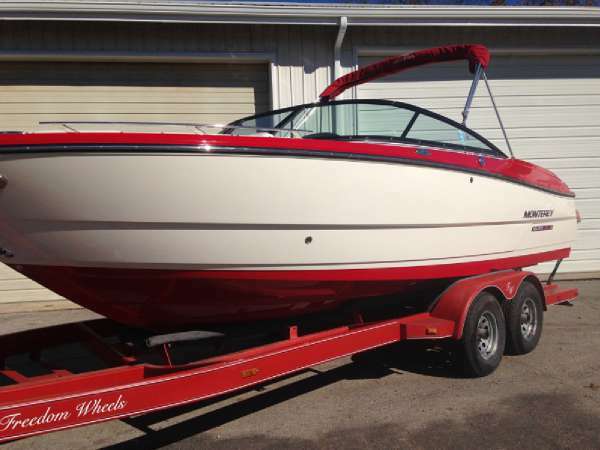 2013 Monterey 234SS 2013 Monterey 234SS One onwer, fresh water trade with trailer! 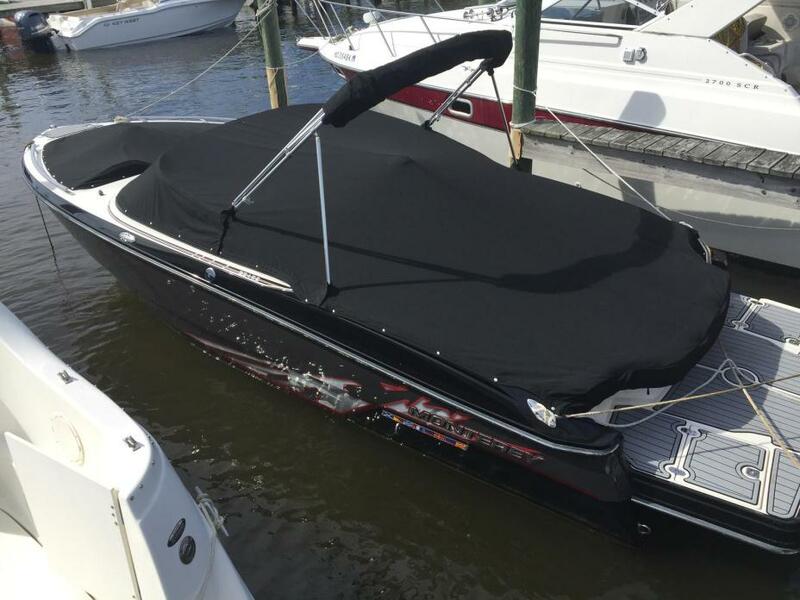 Equipped with one of the largest sun pads in the industry for a boat of this size, the 234 is a sun worshiper’s delight! The sunpad also features the Monterey Signature flip up backrest for aft facing transom seating. The 234 also comes with Monterey’s highly popular trunk storage for all your accessories and gear. Speaking of seating, the 234 is also available with your choice of a portside bucket seat, or a multi-position flip up backrest that turns the port side seating into a massive chaise lounge arrangement maximizing available space! 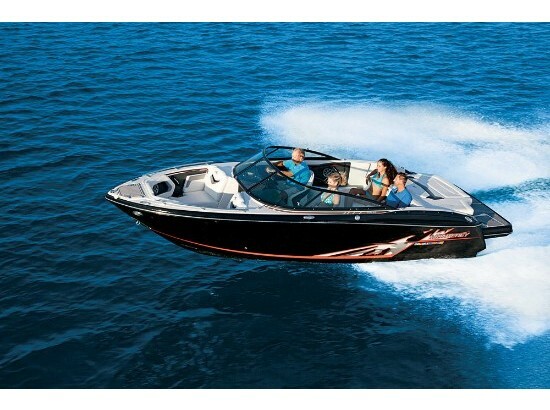 HIGH PERFORMANCE EXCITEMENT This series of bowriders is are sleek and smooth machines packing a powerful punch. We provide a variety of engine options and drives systems to meet your needs, hand-selected from top manufacturers, Volvo and Mercury. All the power you could ever want or need, inboard and out. Air assist chine to provide additional lift and reduce drag by introducing air under the hull. CREATING THE ULTIMATE EXPERIENCE The Super Sport showpiece helms come complete with backlit Medallion Black Ice gauges, fabric stitched helm sun visors, and the latest electronics options available. CRUISE WITH QUALITY FEATURES Enormous sun islands, plentiful seating, exceptional storage, Bow seating loaded with features and amenities. 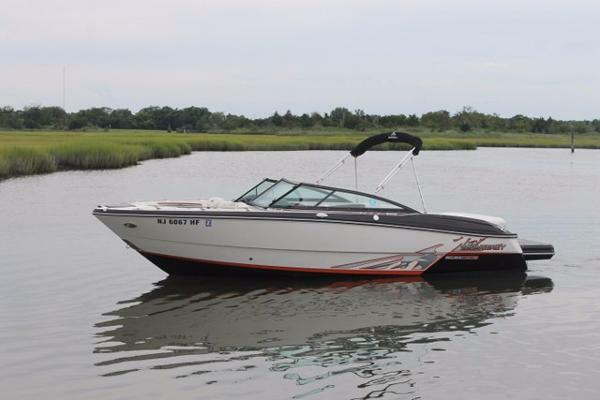 2013 Monterey 234 SS Here is an opportunity to own a like new Monterey 234 SS at a great price. 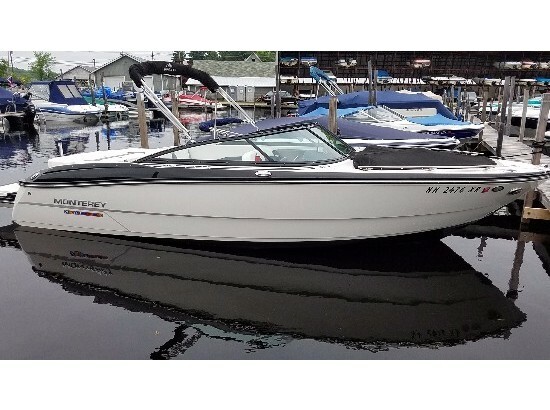 The SS makes a great day cruiser for bar hoping or for a fun day on the water skiing or tubing. The boat is loaded with seating and storage for the entire family. Monterey also has a transferable hull Warranty. This is a complete turnkey package with trailer and mooring covers. 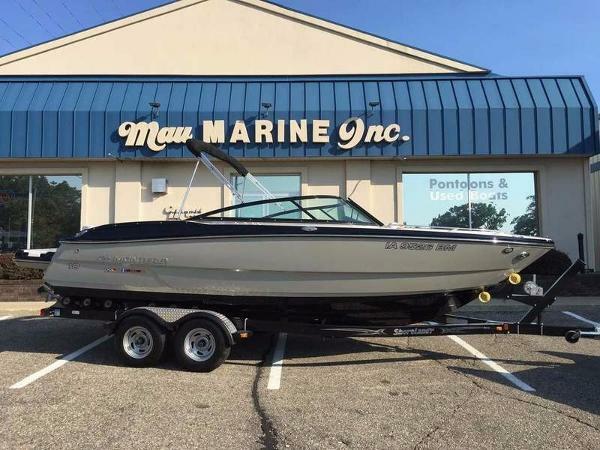 2014 Monterey 234ss, Super clean 234ss! Mercruiser 350 MAG - 300hp Bravo IIIStainless steel package, bow & cockpit canvas, battery charger with deck plug, depth sounder, portside forward / aft facing lounger, convenience packageSeaDECK throughout the cockpit of the boat!